Dorm living may lead to financial savings, but cost a student his privacy. 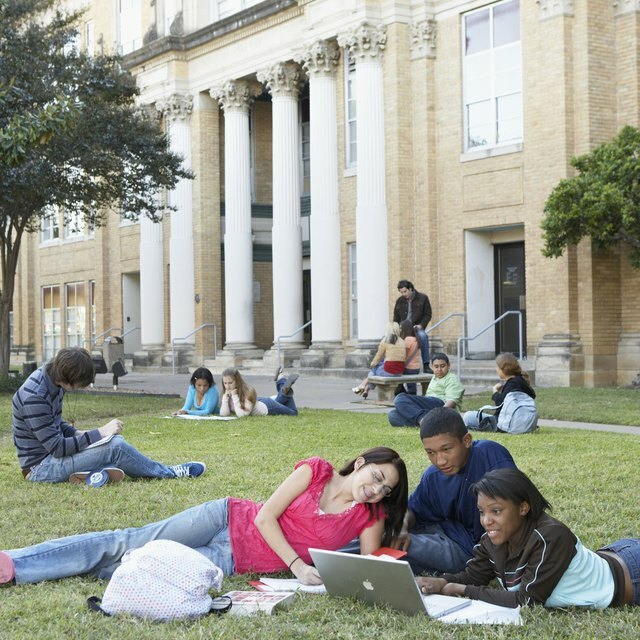 Not all costs associated with college living can be calculated in terms of spendable dollars. There are multiple costs that students incur whether living in a dormitory or in an apartment. At first glance, the dorm option may appear to be financially more prudent when compared to the apartment. However, there are other costs that students should consider when trying to make college plans. The cost to student privacy may be enough to motivate some students to choose apartment living. On the other hand, the savings in time and travel expense might prompt others to choose dorm living. Also, some students might consider that apartment living may cost them socially. A big difference between living in an apartment and living in a dorm is the cost-of -living expense. If a student chooses to live in the dorm, living expenses, including Internet, air conditioning, water and trash pickup, are included in tuition and can be paid by financial aid. However, if a student lives in an apartment, these monthly expenses are obligations that are not part of tuition payments. Therefore, financial aid won't help to fund living expenses. Also, dorms are furnished, whereas apartment living may necessitate bringing furnishings. If privacy is a concern, apartment living might be a more appropriate choice. Students who live in the dormitory must share common spaces such as the kitchen, living room and even bathrooms. Whether a student lives in a traditional dorm room or dorm suite, there will be other roommates who will share the common areas. TVs, phones and other electronic equipment in common areas may be shared by all occupants. As a result, channels may not always be tuned to individual student preference. Students who opt to live in an apartment may be giving up opportunities for increased social interaction. The nature of the living situation in dorms puts students in touch with others on a regular basis. Some schools provide dorm activities designed to engage students in social situations. Dorm or floor meetings, parties and informal study groups increase networking opportunities and broaden social circles. Also, some dorms may be coed, increasing opportunities for developing friendships or dating relationships. Students who live in apartments spend time and incur travel-related expenses in order to get to class. However, college dorms are usually located on campus and in close proximity to classroom buildings and athletic facilities. Although some apartments are located quite close to campus, students may have a considerable walk or bus ride to campus. Additionally, dorm residents live much closer to the library and dining facilities. Late-night trips to either might be easier for the dorm resident. Bradley, Katherine. "College Dorm vs. Apartment Costs." Synonym, https://classroom.synonym.com/college-dorm-vs-apartment-costs-14969.html. 26 September 2017.